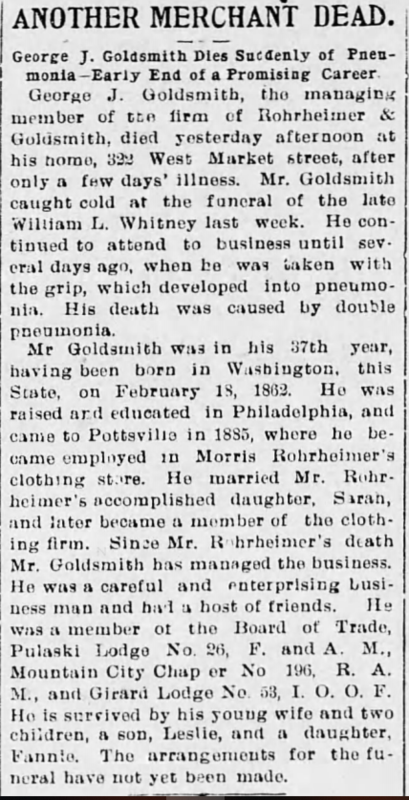 This entry was posted in california, Connellsville, Denver, Genealogy, Goldschmidt/Goldsmith, Other places in Colorado, Pennsylvania, Philadelphia and tagged Denver, Goldsmith, jaffa, Levy, Pennsylvania, Philadelphia, San Francisco, Trinidad Colorado by Amy. Bookmark the permalink. I can’t stop thinking about Jacob and Robert in that household of 7 women and 1 child, a girl – of course 🙂 I hope they had more than 1 bathroom. Enjoyed the post Amy! LOL! I can’t either! Robert must have been a saint to take in all those sisters-in-law and his father-in-law. I can hardly keep up with all of the children in this family. 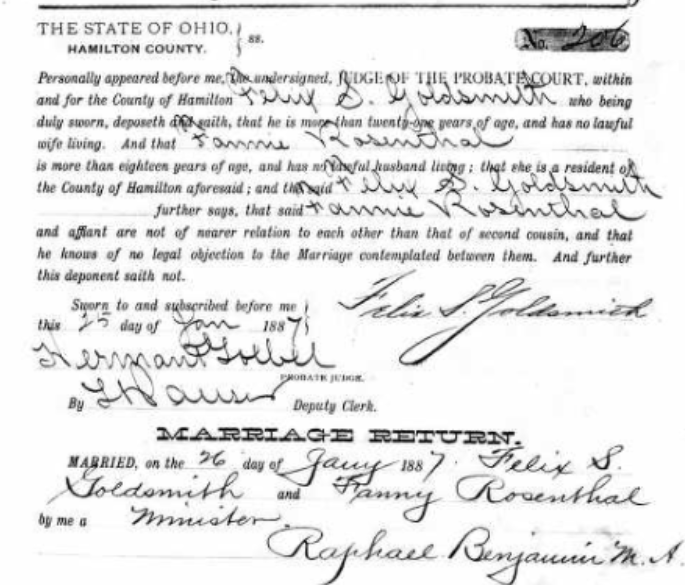 Interesting to see three marriages in Hamilton County, Ohio. Yes, I am not sure where that tie began. And I agree—14 children=lots of confusion! I believe I said it before, Amy. I admire your tenacity of digging up all these facts about your ancestry. It takes a lot of energy and dedication to do this. I noticed the trend in your family of marrying immigrants from Germany. Perhaps there was a desire to stay in touch with the German language and cultural heritage. As to the capitalists, my guess is that perhaps the ladies were employed by a bank. It sounds a lot more impressive than bank clerk. Have a great weekend, Amy. Thanks, Peter—it’s an addiction and a passion! 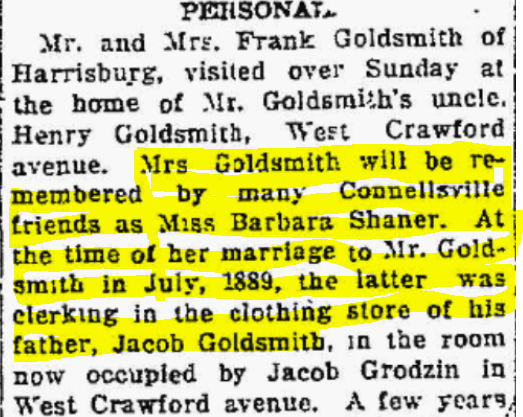 It’s not surprising that my German Jewish immigrant ancestors married other German Jewish immigrants. 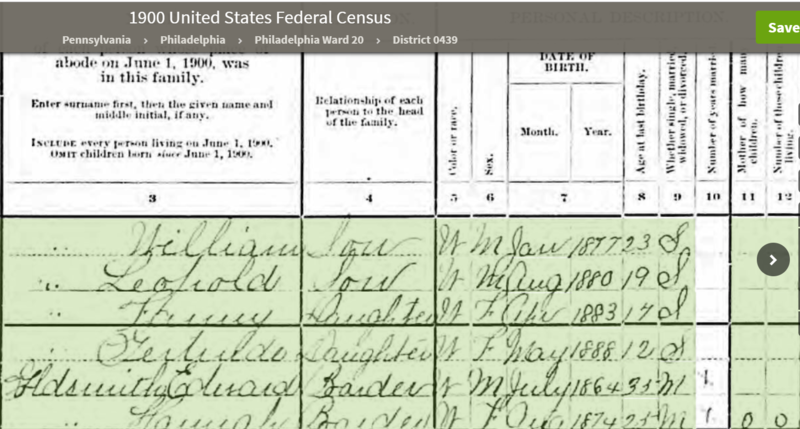 Until the 1890s or so, most Jews in the US were from Germany; eastern European Jews didn’t start coming until then. 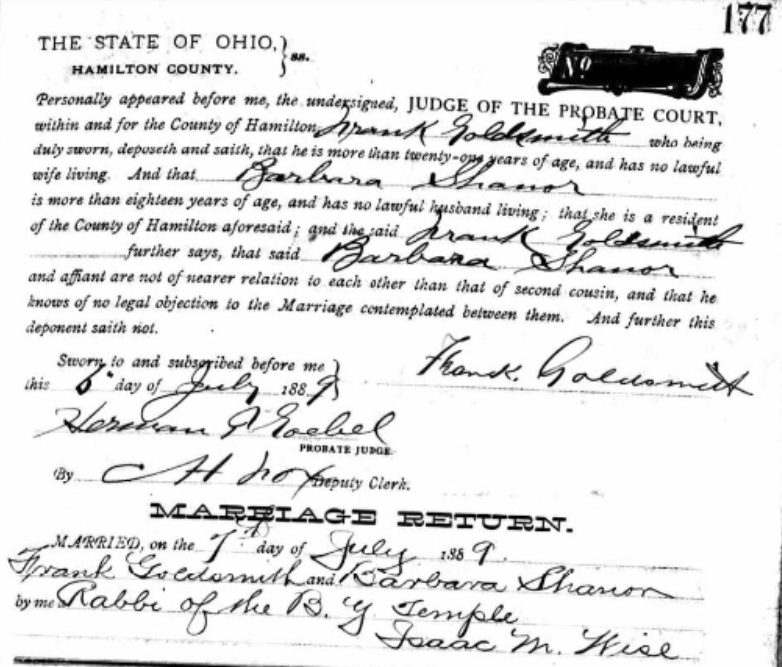 And since there was virtually no interfaith marriage in the 19th century, it makes sense that German Jews married each other. Thank you the explanation, which makes a lot of sense! My mind is blowing here – SO many coincidences in this post. 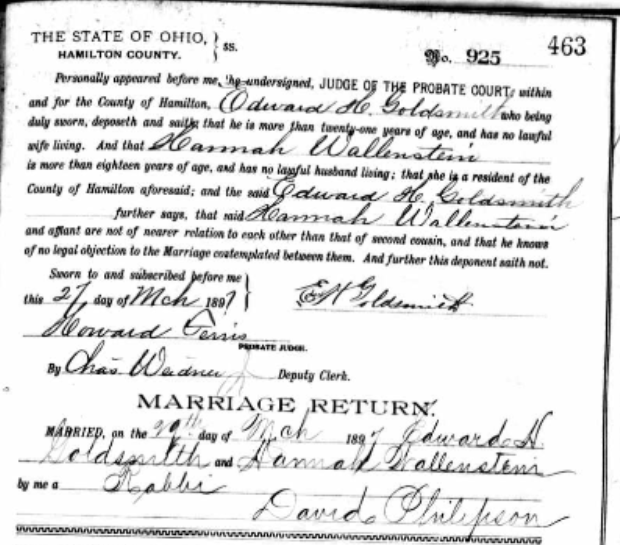 I have ancestors who were born, married, or died in Hamilton County, Ohio. Okay, maybe not that big of a deal. 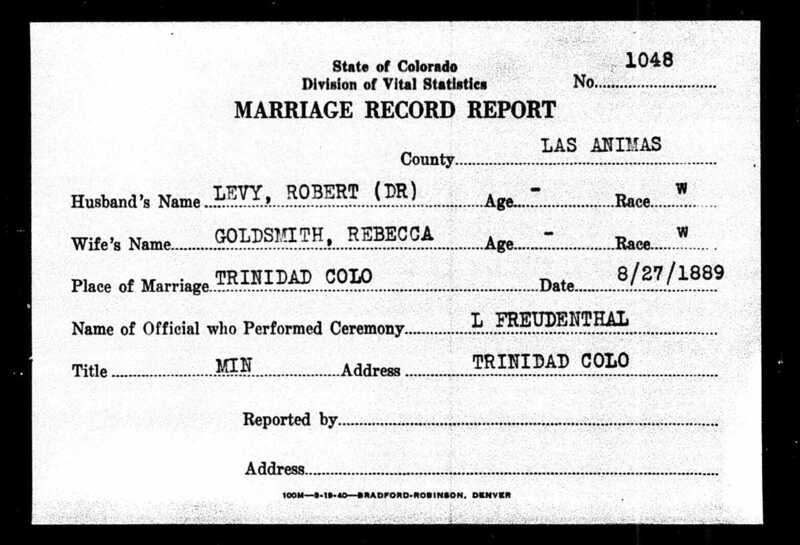 My dad’s only sibling was Robert Levy, also a doctor. Born later than your Robert but hey, quite a coincidence. 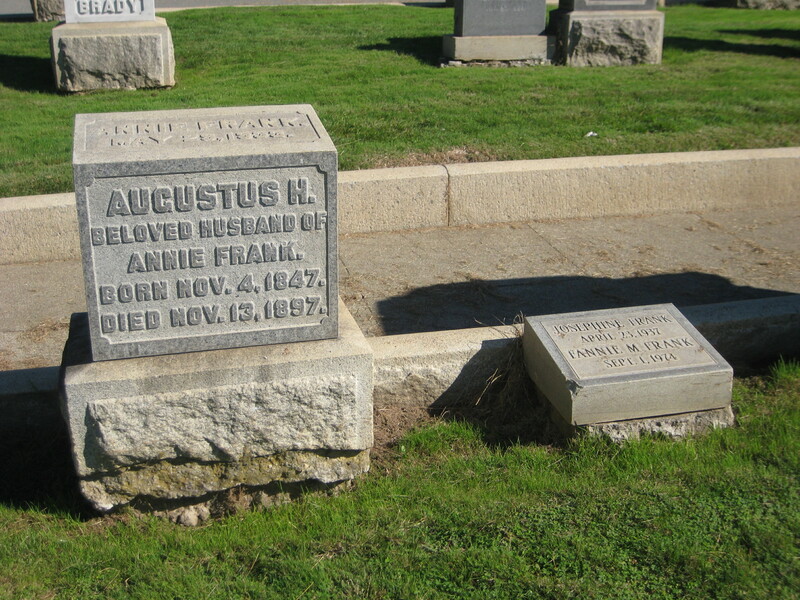 But most coincidental was the photo of August Frank’s headstone photographed by Diane Reich. She has taken quite a few photos of my ancestors in Hills of Eternity in Colma, so she has been to both of our ancestor’s graves. Are you hearing the Twilight Zone music? There really are so many strange overlaps in our stories even if none yet that show we are related. Add to all the others the fact that we both know Scott! Definitely Twilight Zone material!